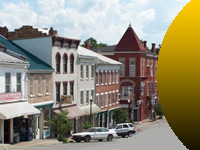 The Mission of the Fleming County Chamber of Commerce is to be the bridge which provides information, opportunity and business development for its invested members and the community. The mission of Fleming County Schools is to unite with family and community to provide an equitable, high quality education that meets the needs of each student in a caring and safe learning environment, which will ensure that students become successful throughout life. The Vision of Fleming County Schools is to become a "District of Distinction"! The mission of the Fleming County Public Library is to provide services, programs and materials to help meet the personal, educational, and professional needs for the people of Fleming County. Here at Fleming County Hospital, we understand that healthcare is evolving. The advance in medicine and strides in technology are providing local communities access to better healthcare. It is our desire to provide the best care in our region. Our associated staff will be here to help you and your loved ones when the need arises. The comfort and care of our patients is our major goal. Fleming County Hospital desires to provide you with the tools needed to educate and increase your health awareness. Online healthcare is now being made available to you from this website. The site will introduce health information and patient education resources for you to explore. 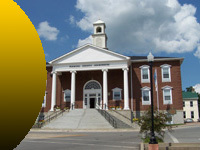 The Kentucky Veterans Hall of Fame Foundation was established in January of 2012. After dialogue exploring the need for a Kentucky Veteran of the Year Award, it was determined that such a project of inducting only one veteran would be virtually impossible...hence the idea to form a Kentucky Veterans Hall of Fame was brought to light since such a foundation did not exist in the Commonwealth of Kentucky. This was the motivation to create such an entity.